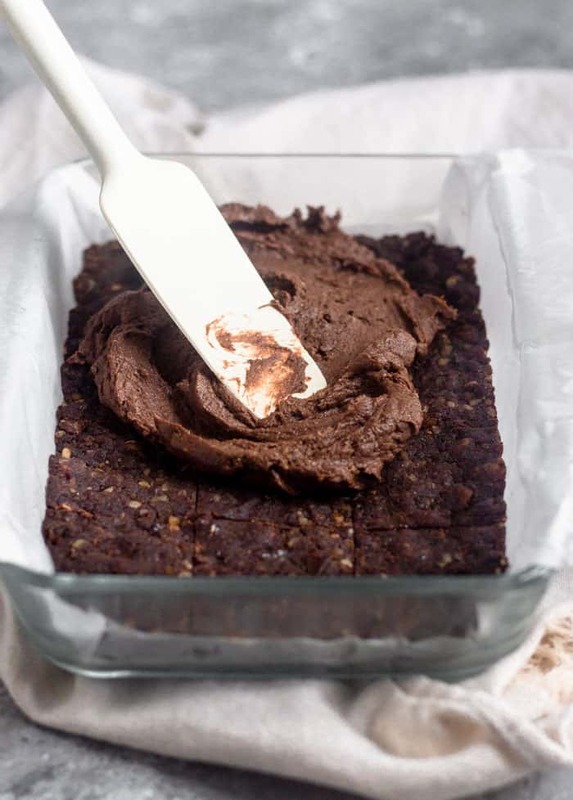 Easy & healthy no bake walnut protein brownies made with dates, walnuts, protein powder, & cacao with a simple chocolate protein frosting. 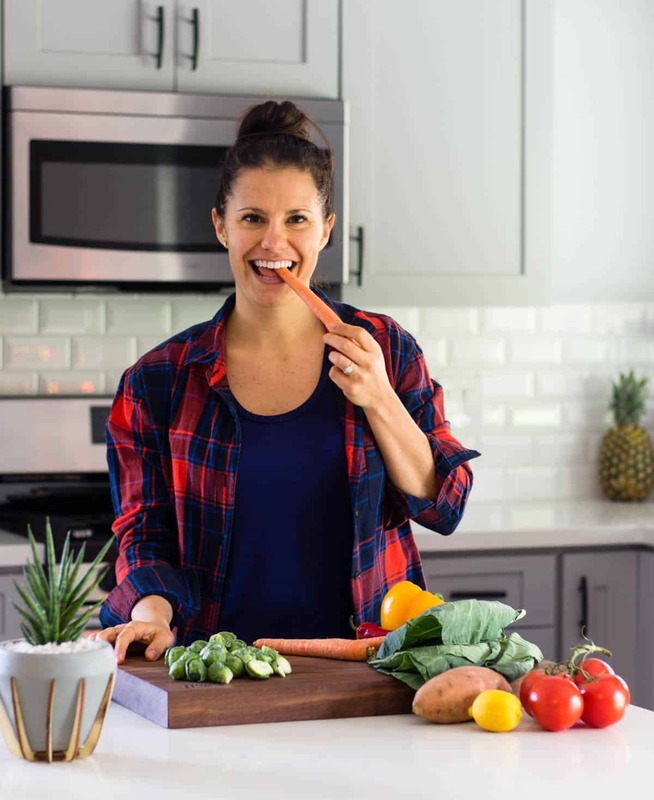 Vegan, gluten free, & dairy free! Question! Do you guys have any plans for Valentine’s Day?! It’s Michael and I’s first Valentine’s Day as husband and wife and we have zero plans at the moment. Except I want to make some kind of dessert. 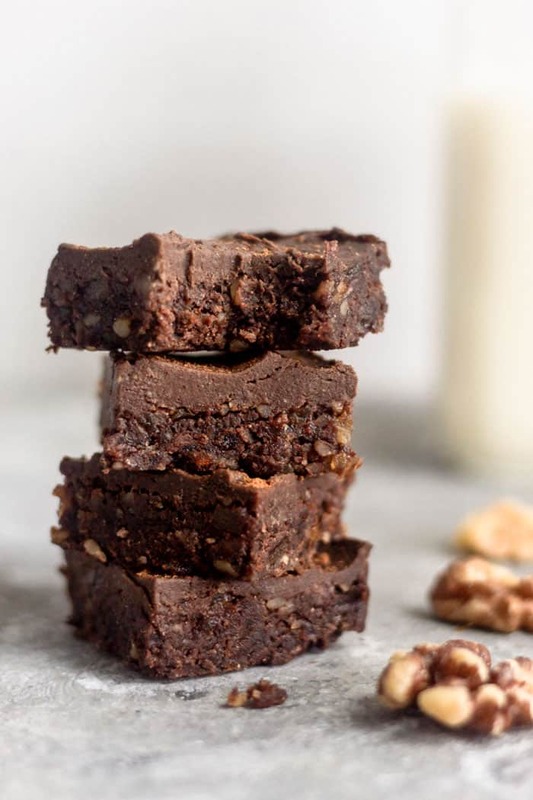 And what would be easier than a no bake walnut protein brownie?! Nothing that I can think of ha! But let’t to this recipe! 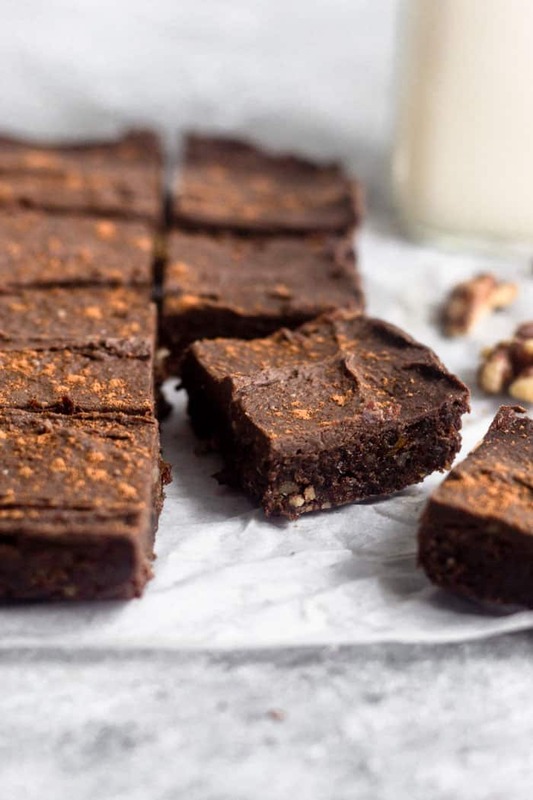 An easy, no bake, raw walnut protein brownie! 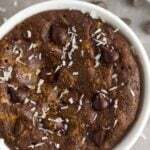 Y’all know I don’t bake, although I have been working on it (kind of), so this is the next best thing to a warm and gooey brownie. 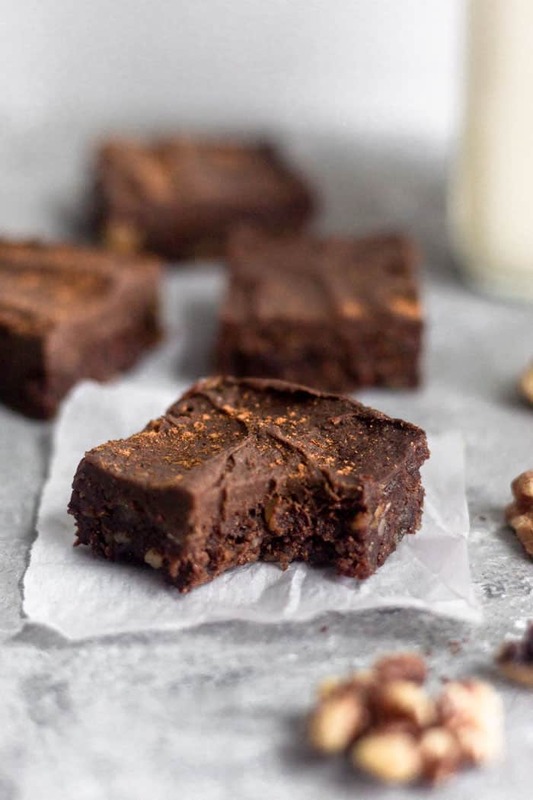 They definitely fill the need of the brownie craving and you don’t have to turn on your oven! 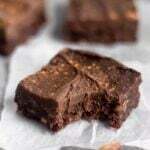 You only need a food processor and about 10 minutes. 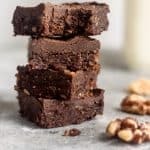 These walnut protein brownies are rich and decedent, while being a healthy dessert or snack at the the same time. I added some protein for some extra nutritional benefits too! It’s a win win! 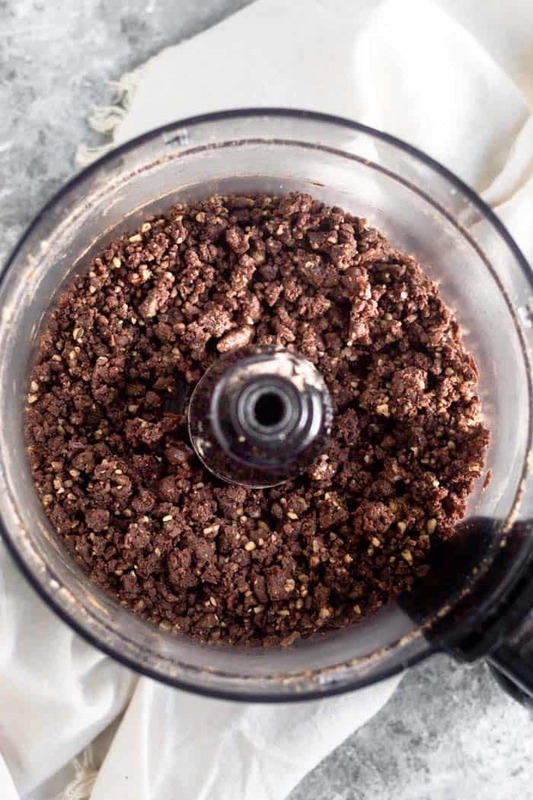 First you add the dates and walnuts to your food processor and pulse until they are brown down – you still want texture to it as you will be adding in more things. Then add the cacao, maple syrup, protein powder, almond milk, cinnamon, and a pinch of salt. Pulse until combined, but still has some texture (see picture above). You want a texture that is sticky and will hold together when you press it together. Line a small 7×5 glass dish with parchment paper and press mixture into the bottom in a single layer. Now the fun part, making the icing!! 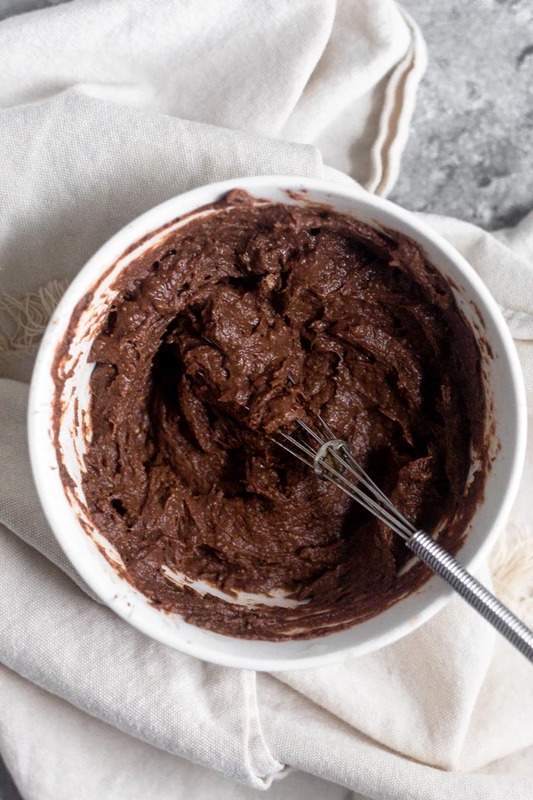 Did you know you could make icing from protein powder with only a few ingredients?! It’s so good and so easy!! 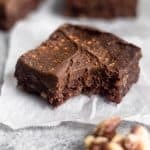 The icing is definitely optional, but who doesn’t love icing on a brownie!?! 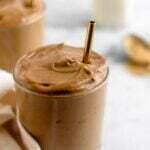 To make the chocolate protein icing, just mix together the protein powder, almond milk, coconut oil, and cinnamon. You should be left with a thick, but spreadable, consistency. 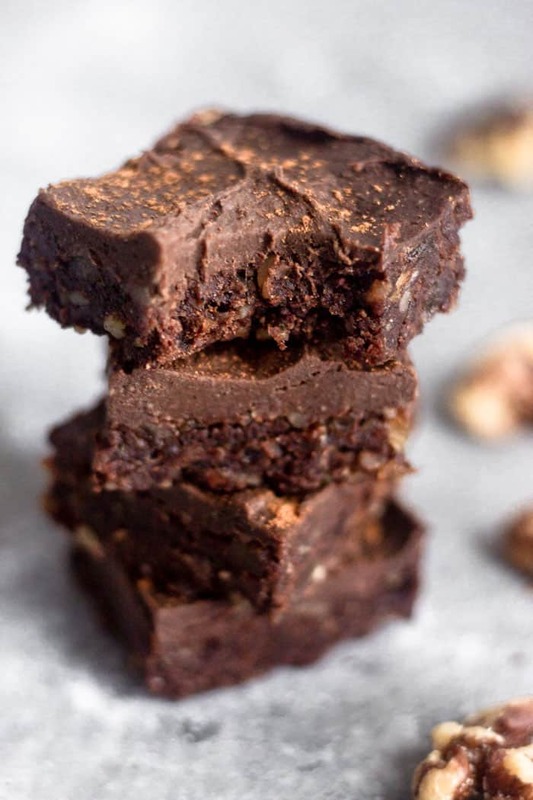 Then you just spread it all over the walnut brownies and let it set for a few minutes (or eat right away cause they are that good)! Can I use a different kind of Nut? Yes! While I haven’t tried it, I would think that pecans would be the best substitute. 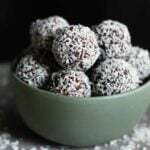 You could try almonds or cashews as well! Can I use a different kind of Protein Powder? 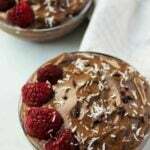 I have only tried this recipe using Ka’Chava Chocolate Protein Powder. While I think another kind of vegan protein (maybe even whey) would work, I can’t be certain. Ka’Chava has a thicker consistency which helps bind the ingredients together. It also makes a delicious frosting. If you want to try it out, you can use the code ‘EATTHEGAINS’ to save 15% on your first order – I love and use the chocolate and vanilla on the regular! 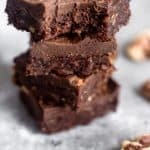 I hope y’all enjoy these walnut brownies as much as we did! Michael and I ate them up so fast and he isn’t even a huge chocolate fan! 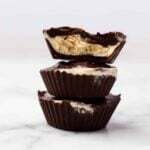 If you are looking for a healthy treat that is EASY to whip up, these should be it. Each one only has 5g of fat, 13 grams of carbs, and 4g of protein! 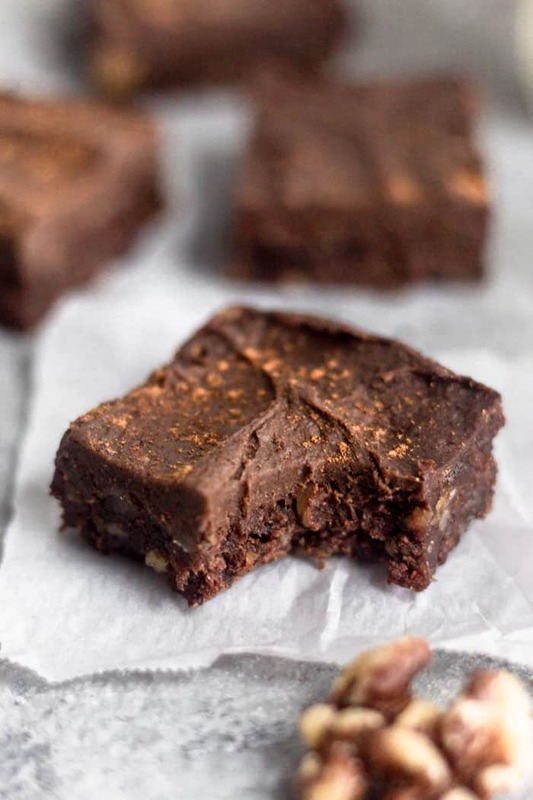 Make them to fill a sweet craving or whip them up on Sunday during meal prep to have on hand during the week. They store in the fridge for a week, or you can freeze them! Place the dates in a food processor or high speed blender and pulse a few times until broken down into pieces. Add remaining ingredients blend until evenly combined (but still some texture). It should be a little sticky when touched. If needed, add a little bit more liquid to help it come together (it will depend on how juicy your dates were). Line a 7x5 glass baking dish with parchment paper and add mixture. Press dough firmly into dish with your hands until dough is evenly distributed. Set aside. Make the frosting. Add all ingredients into a small bowl and mix until well combined. Using a spatula, spread evenly over brownies. Sprinkle with cinnamon. Place in the fridge to let set for 10-15 minutes. Cut into 12 bite size pieces and enjoy! You got it! Can’t wait!